Welcome to Chapter 1 of Mojo’s new series for our upcoming ebook launch—Account Based Marketing: A Workbook and How-to Guide. In this series, we’re blogging the book a chapter at a time over the course of 10 weeks. At the end, we’ll launch the ebook which includes an interactive workbook and tools to help you start a successful Account-Based Marketing program. Sign-up for our newsletter to get an advanced copy straight to your inbox (doesn’t it feel good to be first?!). We can’t wait to share it with you. Account-based marketing (ABM) may seem like a hot new marketing trend taking center stage, but this is not the case. ABM has been around for a long time, but it is once again becoming the preferred marketing strategy of the most innovative and successful B2B companies. In fact, 93% of B2B organizations say they consider ABM to be very important to their organizational success. So, what is account-based marketing and why has it made a spectacular comeback? While all slightly varied, what these definitions have in common lays the foundation for ABM. They identify 3 key things that makes a marketing program an ABM program. Now, I’m sure you’re asking yourself, what is up with this “account” terminology? Aren’t marketers supposed to bring Sales leads? This is a fundamental shift in thinking that’s required in account-based marketing. No longer does marketing focus on leads and individuals; marketing now focuses on a specific group of target companies or accounts. Sales has never closed “individuals” or “leads.” Sales closes accounts. In the end, marketing is adjusting its own lens to better align with larger business goals and to do so, marketing has to talk the sales and business talk before ABM can walk the business walk. So, if Sales has always worked in accounts, why is ABM just now becoming the talk of the town? Where Did ABM Start and Where Are We Today? Let’s take a trip down memory lane. Account-based marketing began over 20 years ago, influenced by our friends in Sales, as a strategic way to market to target accounts. It didn’t have the success it enjoys today for a few reasons. 1990s: Most organizations focused on small numbers of accounts. They connected through highly personalized, high touch engagements such as dinners, in-house meetings, and personalized notes sent after events. 2000s: The new millennium ushered in the era of content management systems (CMS) and marketing automation systems (MAS) to help marketers scale their efforts and reach more people. This included a focus on email, reactive marketing initiatives to customer actions, and form submissions to drive conversions. The personal touch was lost in the mix. Today: Technology and personalized data work as one to target hundreds and thousands of target accounts. Digital efforts are streamlined to reach the right people with the right message at the right time by using ideal client profiling, real-time bidder visibility, customized website experiences, personalized sales interactions, and improved data management systems, reporting, and processes. Sales and Marketing alignment is typically like oil and water; it just doesn’t mix. But it doesn’t have to be that way! With ABM, Sales and Marketing must repair the relationship and work closely together so both teams can focus on their shared target accounts. When this happens, you have much higher close rates and you keep business objectives top of mind. But that's not all you’ll gain with ABM. Account-based marketing delivers the right message at the right time to the right accounts. This is only possible with full organizational alignment. With Sales and Marketing focused on specific target accounts, Operations can then optimize technology resources to make delivery speedy and measuring the results a snap. It’s all about collaboration. ABM helps bridge the gap between departments by shifting focus to target accounts. If you can’t beat ‘em, collaborate with ‘em! Collaboration is essential for ABM success. ABM bridges the gap between departments by creating a central, standardized language around ABM. That shared vocabulary focuses on accounts, key business objectives, revenue, and an iterative process. Marketing becomes more efficient by focusing on target accounts (no more spray and pray!). Sales is excited about the increased quality of account leads. Both are thrilled at the higher close rates with larger contract values. 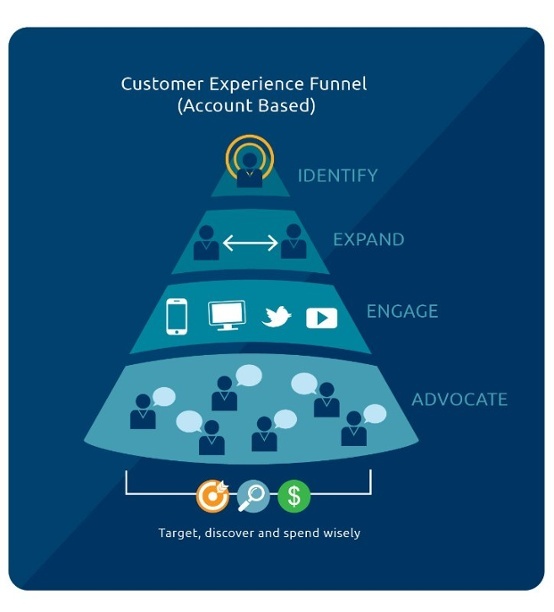 Account-based marketing delivers a customer-centric experience. Remember how Sales and Marketing lost their personal touch in the early 2000s? Because customers can smell a sales pitch from a mile away and they are always growing smarter, it is important to have highly personalized interactions when dealing with accounts at every journey of the buyer’s stage. Customers crave personalized attention, and when you know the target accounts attributes like the back of your hand, you can proactively provide specific solutions just for that target account. ABM connects marketing to revenue. everyone understands that ABM is the key strategy that positively impacts the business’s bottom line and the health of the company. How do you do this with ABM? The most important element to understanding ABM and how it positively impacts business objectives is by flipping the funnel. Yes, our Sales funnel is getting turned upside down. ABM starts with a hyper-targeted focus, then expands to create advocates. The traditional sales and marketing funnel begins with a large group of people, then homes in on the best clients. Operations engages with coordinated platforms between Sales and Marketing while creating accessible reporting for everyone from c-suite to HR. Sales improves precision, coordination, and velocity in its target account engagements. Questions and critics are almost guaranteed, but by presenting ABM in a way that speaks to tangible, measurable, key business metrics, you will have a better chance at convincing others that ABM will make business better for everyone involved. And education is an integral part of the journey, so as you introduce ABM, make sure educational resources are available. Knowledge is power, after all. If that’s not enough, there’s one thing that will surely convince any naysayer— a decrease in cost per opportunity with an increase in pipeline generation. 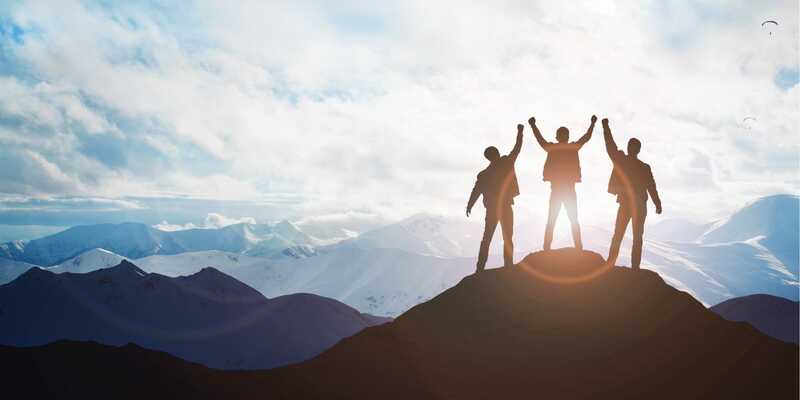 It’s a total-organization effort, a partnership, and it begins with measuring past metrics, discussing how ABM meets business objectives, and fully committing to the collaboration it takes to make ABM a success. In Chapter 2 of our series, we’ll be talking about ABM Readiness. Look forward to the “Are You Ready for ABM” quiz coming next week. Newsletter subscribers are always the first to get top-notch digital marketing insights. Subscribe to our newsletter using the form below and be first in line to get the ebook Account Based Marketing: A Workbook and How-to Guide!